It has been 6 days.. 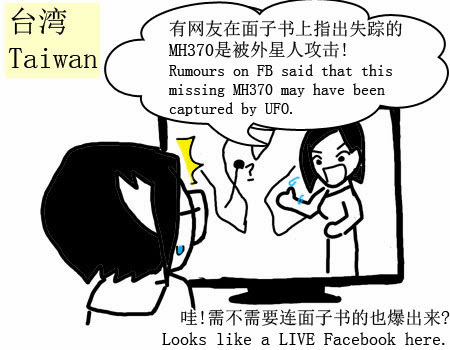 Recently medias all around the world were discussing about the most mysterious aircraft in the history on MH 370. It seems Malaysia's news were looks less enthusiastic than the other country. 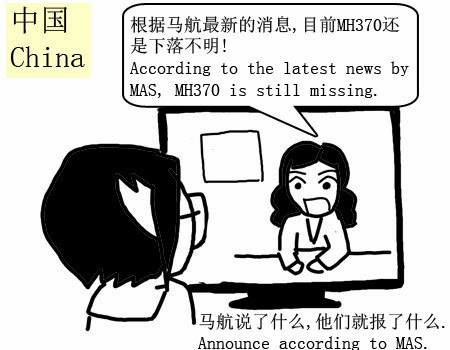 It has been informed that they (Malaysia) will only provides accurate information to the public. As search enters sixth days, more and more countries were involved in searching for this aircraft. From only Malaysia, Singapore, Vietnam, Philippine, Indonesia, Thailand and Australia, later on China, US, India, Taiwan and Japan offer themselves to join the search. Looks to me like an "International Treasure Hunt Mission" taking place at South China Sea. 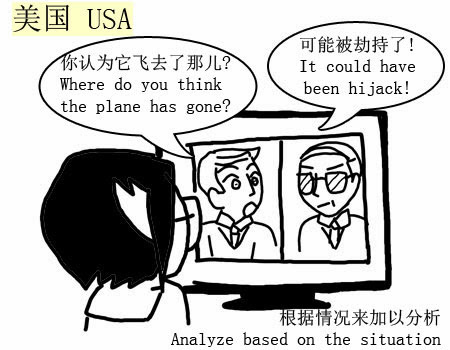 This tragedy has definitely bring impact on the families of the passenger MH370. Waiting anxiously to have their love once to come back but worse come to worse is they are unable to meet them. It wasn't easy to face such sudden situation. Drew this during my free time, about a little girl who waiting for the plane to come back. 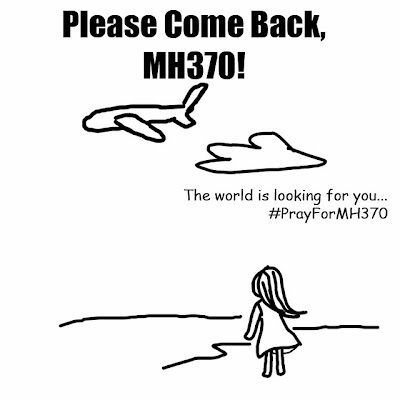 Never give up hope until the aircraft has been found!Lets pray for miracle on MH370! And also to the passengers' families to overcome such tragedy! 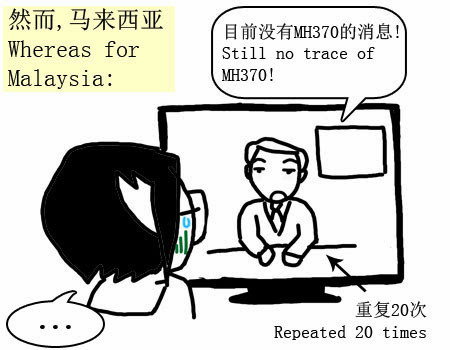 I do hope that you can do your part to stop sharing the untruth rumors about MH370. At least it will do good for the passengers' families. They had enough dealing with this tragedy.